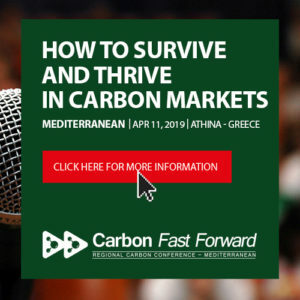 To most observers, carbon markets have been in decline for a long time, beginning with the market’s failure to shake off negativity since VAT fraud and allowance thefts in 2009 rocked the EU Emissions Trading System (ETS). Slowly evolving US markets have been beset by legal challenges and politically motivated scepticism about the need to even solve the problem of climate change. Prices have fallen, banks have been driven out of commodities by ever-tightening regulatory burdens and capital requirements. The threat of a triple-dip Eurozone recession and the low carbon price that naturally follows a fall in demand have both dented confidence and added to pessimism. The negative picture is vividly painted by a number of observations: lower attendance at events, the exit of familiar companies, decreasing traded volumes, massive oversupply in the EU ETS and talk of the need for political intervention to save it from itself. All of this negativity was reinforced by Australia walking away from emissions trading altogether. The last year was as bad as it can get – but those companies that have taken a step back from the market are probably already behind the curve. Activity in the carbon markets has reached its inflection point and here’s why. The politicians have intervened. That the carbon price went down during a recession is a positive – it shows the market is working as it should – but it is fair to say that the EU ETS suffered some form of market failure as the impacts of zealous support for the Clean Development Mechanism and overallocation were finally felt. As a short-term measure, the European Commission is postponing the auctioning of 900 million allowances until 2019-20 to allow demand to pick up. However, this backloading is only temporary. The idea of cancelling the excess carbon inventory is unlikely to gain sufficient support so the Commission has embarked on a longer term solution, the Market Stability Reserve. This envisages the excess inventory being held in, and released from, a reserve according to pre-established and known rules. The desire in Brussels to repair the EU ETS seems so strong that enactment of the draft legislation feels more like a ‘when’ than an ‘if’. While this will disappoint the free market purists, it is the lesser of two evils (the second being a carbon central bank). The intervention is significant because, since the financial crisis, the idea of trading being a solution to pretty much anything has been out of favour, especially in political circles. So much so that banks have been dissuaded by regulation and capital requirements from continuing to trade commodities, prompting the closure of several carbon desks. The build-up and final enactment of backloading are the political shot in the arm that carbon markets (that are political constructs) everywhere, not just in Europe, were crying out for. The impact of this vote, in ‘socialist’ Europe, supporting emissions trading should not be underestimated. It has provided the political cover for other countries to take leaps forward towards emissions trading, widely acknowledged as the most efficient way to combat climate change, after years of being out of favour. A vote of confidence in the long term viability of the EU ETS has also been provided by the most cautious of market participants, pension funds, in the form of their participation in so-called ‘carry’ trades. Not so long ago, it was only the banks that were prepared to ‘lend’ money to the market by buying spot carbon and selling back the higher priced forward contract one, two or three years out. The structured trades that facilitate these deals are also evidence that the market is maturing at a pace, despite recent problems. Demand for hedging in the EU’s carbon market is actually growing. To the understandable frustration of industrials, free allocation is slowly being phased out. As allocations get lower every year, industrials are forced into the market to source their shortfall. According to our own analysis of installations’ positions, around 30% are already short in 2013 and a massive 60% will be short by 2020. Finally, a once near unutterable proposition in the corridors of Brussels, inclusion of road transport emissions in the EU ETS, is at long last being considered. This is a glaring and embarrassing omission from the EU ETS – even California will include transport emissions from 2015. Including road transport emissions in the EU ETS will increase its size (and thus liquidity, emissions reduction potential and ultimately price stability) by around 40%. It would also come with the additional benefit of providing convenient cover for ‘cancellation’ of some of the system’s excess inventory by reducing auctioning to the sector. Chinese support for emissions trading is going from strength to strength, with seven pilot regional ETSs operational and a stated desire for a national ETS by as early as 2016. Poor liquidity with around 70% of traded volume changing hands in the month before the compliance deadlines have dogged these early efforts. However Shenzhen’s authorities, at least, have realised the importance of participation by experienced market makers. They have promoted the inclusion of foreigners (trading in foreign currencies) in their market with as many as nine foreign companies being considered for admission or already allowed. A consequence of the national ETS ambition is a burgeoning interest in what are termed Certified Chinese Emission Reductions, domestic offset projects that are expected to generate carbon credits eligible for compliance in the domestic ETS. Those project developers that managed to weather the CDM storm are reaping the rewards as they originate new or convert existing projects. Meanwhile, emissions trading is finally being championed by US President Barack Obama as he seeks a legacy in his second term. His efforts centre on Environmental Protection Agency regulations mandating emissions cuts for the power sector, while providing a choice of how to achieve them. It seems inconceivable in the land of the free and the home of the brave that states not already doing so won’t turn to some form of emissions trading given that it is the easier, more efficient, more cost effective and generally the most efficacious means by which the mandated emissions reductions can be achieved. Consequently the Regional Greenhouse Gas initiative and California’s cap-and-trade programme are likely to expand to include other states. Longevity and trust of the existing ETSs is building, with each of them trading well above their floor price despite both looking overallocated in the near to mid-term. Crucially, that these two powerhouses (each one’s ETS is likely to dwarf the EU’s) are so publicly supporting cap and trade puts both developed and developing nations’ efforts to join in firmly in the spotlight. Positive noises from all corners of the globe, in the form of the recent World Bank organised declaration in support of carbon pricing made by 74 countries and over 1000 businesses, and emerging markets from the likes of South Korea and Kazakhstan, all add to the apparent coming-of-age of emissions trading. Carbon markets may well enjoy a snowball effect as the quantity of emissions captured by trading systems accelerates rapidly. The only global game in town, aviation, under the auspices of the International Civil Aviation Organization, seems to be making some progress towards its commitment to implement a market-based mechanism. In all likelihood, some form of offsetting with international carbon credits (ie, a sub-selection of certified emission reductions) will be the main currency of such a system. Whichever way it goes, international aviation will be included in at least the EU ETS by 2017 and it will give carbon markets a further injection of growth hormone. Despite the recent outward signs of contraction, there’s a lot going on in the carbon markets. The panacea of a global market may well be as much of a pipe-dream as it ever was, but the steps taken towards regional systems are more real and meaningful than they have ever been. Regional systems will ultimately be linked. The cornerstone of cap and trade, the EU ETS, is actually growing and very much supported by the politicians that created it. The future is bright and as we go through the carbon market inflection point, it is down to individual countries and companies to make sure they don’t do an Australia and get caught ‘behind the curve’. Louis Redshaw is founder and Director of Redshaw Advisors Ltd. Redshaw Advisors Ltd is a leading carbon finance and trading company that specialises in helping companies captured by emissions trading schemes to manage their risks and optimise their carbon allocations.